Constantine the Great was born to the army officer Flavius Valerius Constantus and his consort Helena on the 27th February c.272 AD. Constantine’s father Flavius Valerius Constantus became deputy emperor in the west in 293 AD and at the same time Constantine was sent east. Constantine rose through the ranks and then became senior western emperor in 305 AD and ruled over Britannia under his father. When Constanines father died in 306 AD, Constantine became emperor. He battled in a series of civil wars during his reign and gained greater and greater power. 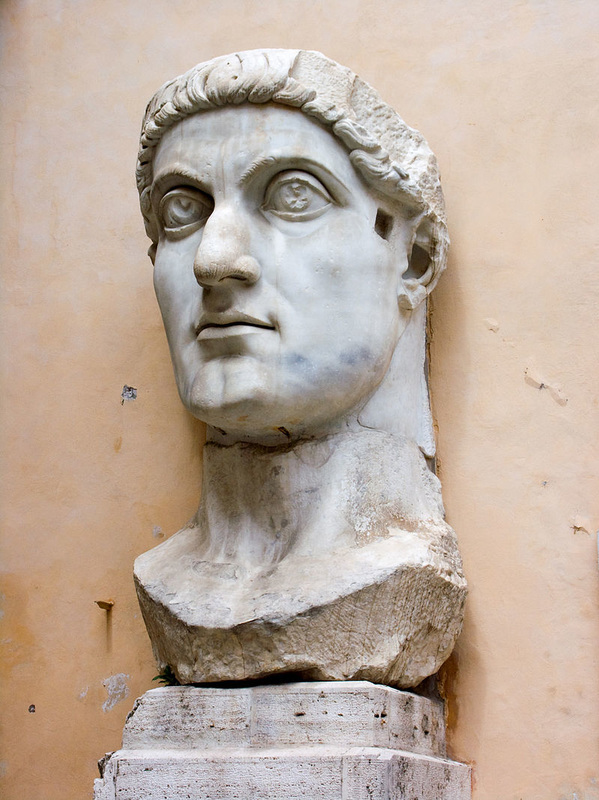 When he was emperor, Constantine strengthened the empire by putting financial, social and military reforms into place. It was during his reign, that the government was restructured and civil and military sections were separated. Constantine reorganised the army and as a result was able to take over a number of unsettled territories. He introduced a new gold coin called the solidus which became the standard currency for over 1000 years in Europe. Constantine was also the first emperor to convert to Christianity and played an important part in improving the tolerance to Christianity by the Roman Empire. Constantine built and named the city of Constantinople after himself and it became the capital of the Ancient Roman Empire for over 1000 years. Constantine ruled until his death on the 22nd May 337 AD. He was buried in the Church of the Holy Apostles in Constantinople. After he died his son became emperor which meant that the principle of dynastic succession was put into place, another first for the Roman Empire. Constantine’s reputation was great during his lifetime and only improved after he died. He was honored as a saint by the Anglican Church, Byzantine Catholics and Eastern Orthodox Catholics for his important role in the development of Christianity.